Well, here's some happy news for a Tuesday. 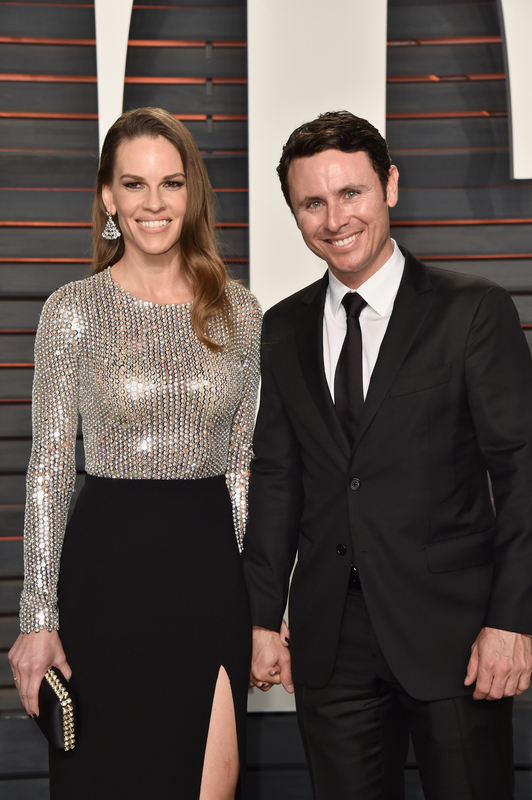 Oscar-winning actor Hilary Swank is engaged to Ruben Torres, she announced via her Instagram. Alongside an adorable photo of the couple, Swank wrote, "Went on a hike and this happened! I am so happy to share with you all, the engagement to my dear Ruben. #Engaged" I wish all of my hikes were this romantic, you know, if I actually went on hikes — or had a boyfriend. Anyways, congrats to Swank and Torres! Now, just who is Ruben Torres, because I don't know about you, but I need to know all about the man marrying the 41-year-old actor. According to Us Weekly, Torres is a financial advisor and tennis coach at the Riviera Country Club in Pacific Palisades, California. Us also reports Torres and Swank have been "publicly dating" since 2015, after making their red carpet debut at a December Art Basel event in Miami Beach. Back to Torres' career, People reports that he is a former tennis pro, is from Colombia, and went to the University of Southern California. Apparently, after leaving the professional tennis world, Torres stuck with the sport as a coach and also works as a financial advisor for UBS Financial Services. Obviously, Torres has strong ties to tennis, because according to People, he popped the question at the 2016 BNP Paribas Tennis Open in Palm Springs. Per a source, he asked Swank to marry him on the evening of Saturday, March 19. Basically, Torres sounds like a character straight out of a romantic comedy. Think about it: A professional tennis player leaves the sport world to become a financial advisor, who then eventually finds love with an award-winning and beloved actor. I mean, doesn't that sound like a story a rom-com would tell? If you're still not convinced, just check out these photos of Torres and Swank, which prove he is such a rom-com dream guy. Yep, Torres could have a rom-com about his life and love for Swank. They are both very lucky to have found one another, that's for sure.